Reality TV star and best-selling author Teresa Giudice, of Real Housewives of New Jersey fame, will be in Pittsburgh on November 13th, 2011. Giudice is a flashy, albeit polarizing Jersey gal who, love her or hate her, will be at the Galleria in Mt. Lebanon for an exclusive “Knock out Cancer” fundraising event. Teresa is teaming up with 96.1 KISS fm and 3WS for this evening that includes shopping, dining, and drinking, all to raise money for local cancer research organizations. Tickets range from $50-$100. For $75, you get a signed copy of Teresa’s cookbook, and for $100, you can get a VIP Meet and Greet with Ms. Giudice herself. Some tickets are still available for purchase and you can buy them, here. To learn more about Teresa, you can check out her website here and her Bravo network blog, here. ABC will be in town Thursday, September 1st, 2011 to film a new reality TV show entitled Everyday Health. They will film at a salon cut-a-thon that will aim to spread awareness of psoriasis and get the message across that this autoimmune condition is NOT contagious. Proceeds will benefit the National Psoraisis Foundation. Newlywed, reality starlet, and entrepreneur Kim Kardashian was recently diagnosed with Psoriasis, bringing some more awareness to the condition; and pro golfer Phil Mickelson lives with psoriatic arthritis, a related condition. If you wish to take part in the cut-a-thon (remember — you may end up on TV, so be mindful of whether or not that is something that you are comfortable with) call 412.471.1575. “Join ABC’s “Everyday Health” and get a free haircut! People with psoriasis often face discrimination at hair salons because others fear their disease is contagious. Show these people that you can’t catch psoriasis. Join ABC on Thursday, Sept. 1, for the filming of a new reality show, “Everyday Health,” at Verve Wellness for a special “cut-a-thon” fundraiser to benefit the National Psoriasis Foundation. Get a haircut between 9 a.m. and 6 p.m. and you could be on national TV showing your support for the millions of Americans with psoriatic diseases. Thanks to the generosity of ABC, anyone with psoriasis in the Pittsburgh area can get their hair cut for free during this event. Tree Climbing Competition Comes to Pittsburgh – AND: Learn about Renew Growing Greener! The Penn-Del Chapter of the International Society of Arboriculture (ISA) hosts the Western Tree Climbing Championship in Pittsburgh, on May 7th, at the Allegheny Cemetary. Beginning at 8am, 25 of the region’s best male & female arborists will take to the limbs in hopes of competing for the state title, granting them a chance to climb against other champions from around the world in Sydney, Australia! 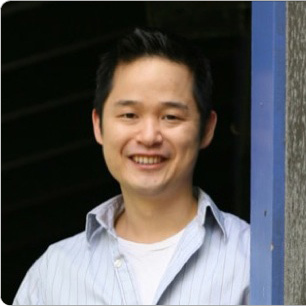 ALSO: are YOU interested in “going green?” Are you eco-friendly? A tree hugger? All about the environment and conservation? We all know how important our environment is – the earth’s resources aren’t infinite. “Going green” is more than just a buzzword or trend. Being eco-friendly should be second nature to us all! Follow the Renew Growing Greener Coalition on Twitter @RenewGG as they charter the way for renewing our earth & improving conservation efforts! … and “like” them on Facebook, here! Ultra Marathon Runner Dean Karnazes and the Regis & Kelly Show Run Across America…to Green Tree! Today, ultramarathoner Dean Karnazes of “Regis and Kelly” fame brought his “Run Across America” right here to Pittsburgh. Karnazes – who was one of TIME Magazine’s “Most Influential” People, has been running across the country and will finish on May 9th in New York City at the LIVE! With Regis & Kelly studios. Today’s 5K running event took place at a local elementary school – Aiken Elementary, in Green Tree – and included not only Karnazes but also students, teachers, families, runners, and even the likes of Andrew Stockey and the Pirate Parrot. The event was filmed for a segment soon to be aired on the LIVE! With Regis & Kelly Show. Ultra Marathoner Dean Karnazes Runs Across America to a Local School for the Regis & Kelly Show – YOU Can Join In! Ultra Marathon runner Dean Karnazes is doing a “Run Across America” for the ever-so-popular Regis and Kelly Show! Along the way, he’ll stop at 12 schools across the country – one of which is Aiken Elementary of the Keystone Oaks School District. Yup – that’s right – a segment for the Regis and Kelly Show will be filmed right here in Pittsburgh. You can even register to join in the fun and run in a 5K with Karnazes. The run is for an organization called, “Action for healthy Kids,” and all proceeds benefit this nonprofit that promotes health and wellness for kids. It is an honor that Aiken Elementary was selected, and it’s sure to be a fun-filled morning! This event takes place at Aiken Elementary School in Green Tree. It is Wednesday, April 27th, 2011 at 9am. You can learn more by calling 212-691-2200 or by contacting Aiken. Also, for more information or to register, you can visit http://www.actionforhealthykids.org and click on Regis & Kelly’s Run Across America. 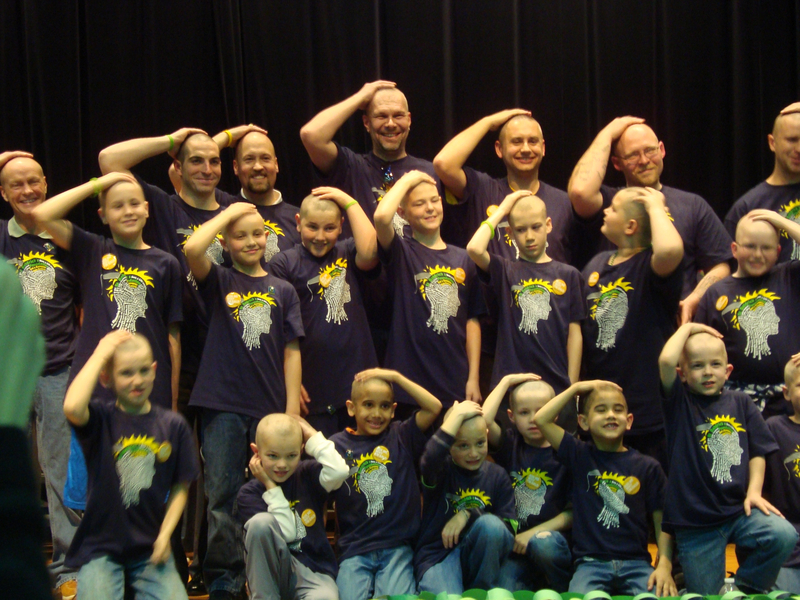 Last Friday, March 19th, 2011, approximately 25 students, dads, and teachers “went bald” for kids’ cancer at Aiken Elementary School, a part of the Keystone Oaks School District. 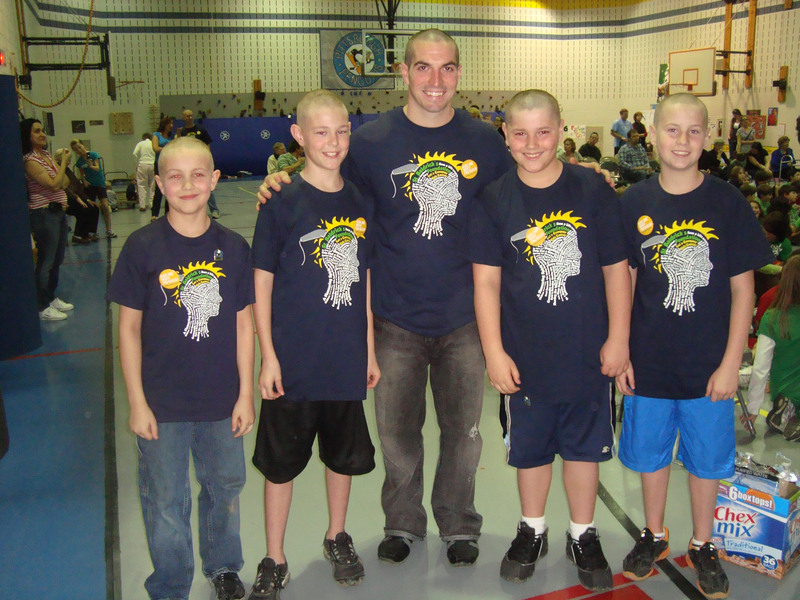 The school’s goal was to raise $1,000 for the St. Baldrick’s Foundation – and they ended up raising over $7,000! Each “shavee” got friends, family, and strangers to donate and “sponsor” them as they had their heads shaved bald for this worthy cause. Enjoy some photos from the event, below! 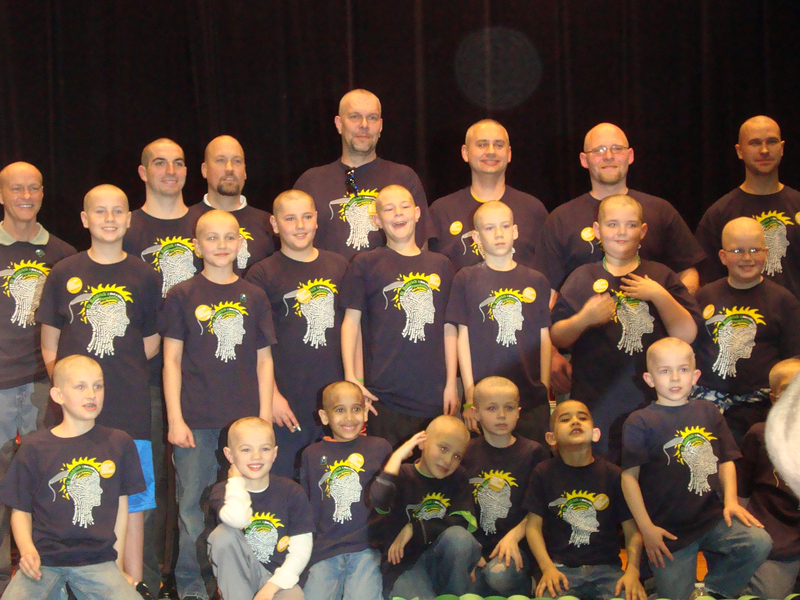 Going Bald for a Cause!